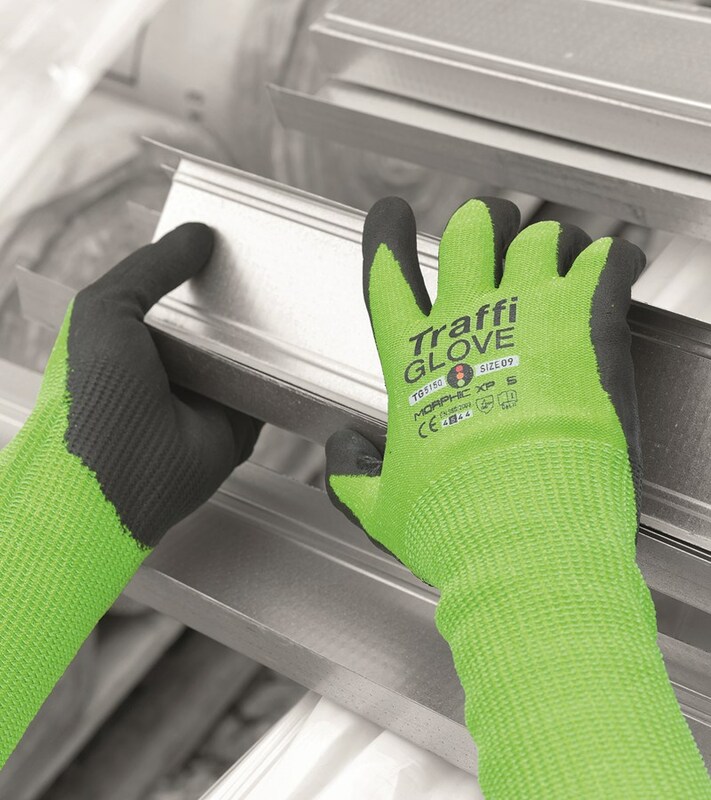 If you're a safety compliance officer, sheet metal worker, glass handler or manage inventory, you should take notice of this new PPE product from TraffiGlove®. One design, twice the coverage and twice the protection. Now you can protect the hands and arms in one simple step! The Morphic 5 XP 15-inch extra protection palm coated glove was constructed to provide an aggressive grip in wet, dry and oily conditions and protect wearers in the areas at greatest risk to a cut injury - the hands, wrists and forearms. Reasonablly priced, this 15-inch glove sleeve protector combo is an important safety feature when an individual needs to reach out or up to grab an item, when carrying items and/or when 'kick-back' or potential slippage of a sharp item is elevated. The hi-viz green color has been well received from safety compliance officers, foremen and employees alike as this unique green color easily shows the cut protection level at a glance or from a distance and sends constant safety signals to be careful while working.